For more than a decade, APS has provided alternative energy power and off-the-grid power systems for commercial, defense and consumer markets, including vehicle and marine applications. APS is proud to provide cutting-edge lithium-ion battery storage packages for vehicles and other applications. Our flexible, scalable system represents everything needed to integrate lithium-ion battery storage into virtually any mobile application. Importantly, these systems use safe, dependable NMC chemistry—the same chemistry that’s trusted by major automakers such as Chevrolet. Our purpose-built auxiliary power units—also called DC power generators or onboard power generators—deliver primary and/or backup electricity for work trucks, fishing boats, remote work stations and other diverse applications. With our DC generators, the sky is the limit: Completely customizable units provide the power you need to energize necessary equipment and get the job done, anywhere, anytime. Because we customize our off-the-grid and alternative energy power systems to serve the specific requirements of each customer, we encourage you to contact us to discuss your unique application and power needs. It's up to you. We customize off-grid power generation and storage systems to meet client specifications. From fuel type to start-up method—use a switch, a remote control or even your phone—DC generators are purpose-built to meet your needs for remote power. 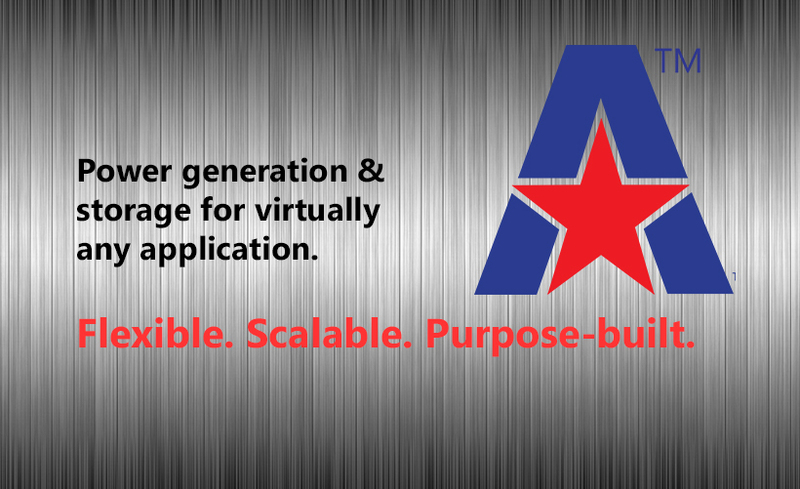 Likewise, APS battery storage systems are scaled and configured to meet individualized demand. Scale up. The APS lithium-ion battery storage system lets you "stack" battery packs like building blocks, customizing storage to meet the demands of your specific application. In comparison to a traditional 24-volt solution, our lithium-ion battery storage system creates more than twice the available power and up to six times more energy in the same space and at the same weight—and it charges faster than any traditional system, too. Power when and where you need it. APS provides diverse clientele with the power generation and storage capabilities they need. From security and defense vehicles to work trucks and ocean-going vessels, you can find power solutions for your next project with APS.